Hard of Hearing. Peggy Bacon. 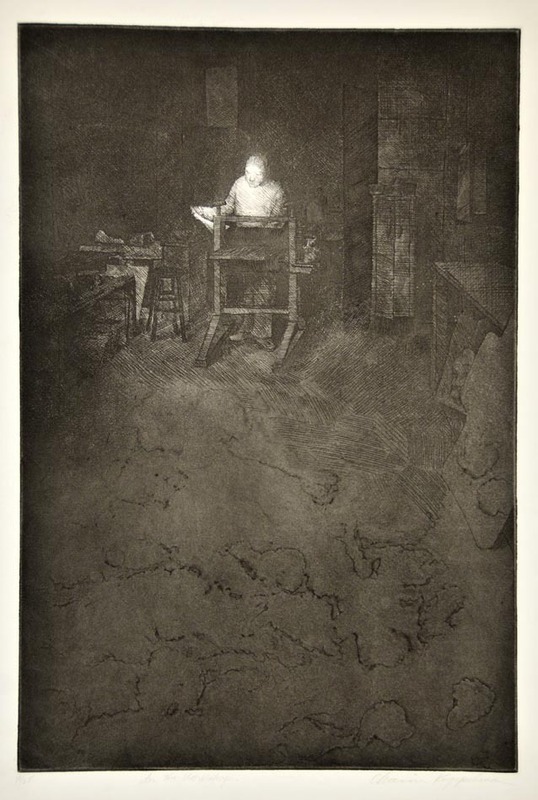 Drypoint, 1933. Image size 7 1/2 x 10 7/8″ (191 x 277 mm). LINK. Quote from: Oral history interview with Peggy Bacon, 1973 May 8, Archives of American Art, Smithsonian Institution. LINK. The Soul of the Thrift. Peggy Bacon. 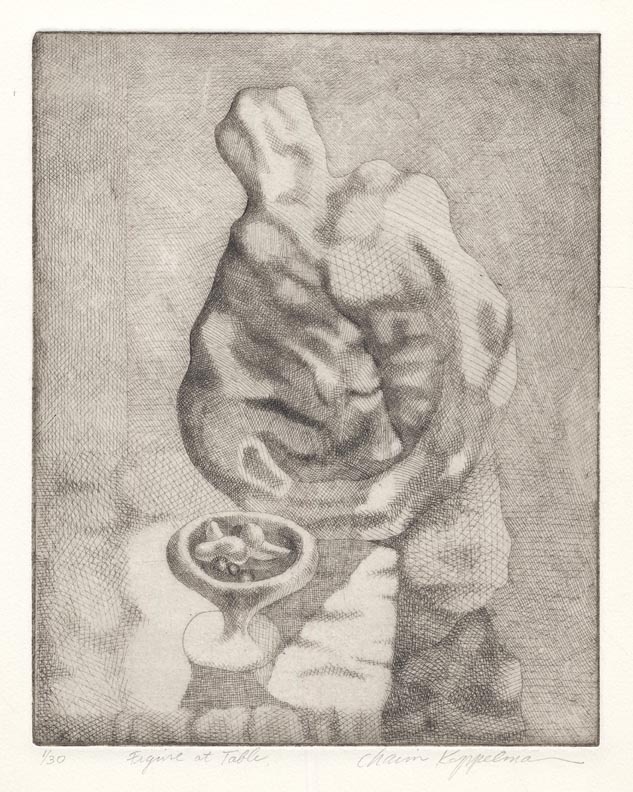 Drypoint, 1941. Image size 9 7/8 x 7 inches. LINK. Peanuts. Peggy Bacon. Lithograph, 1930. Image size 10 1/4 x 13 inches. LINK. Figure at Table. Chaim Koppelman. 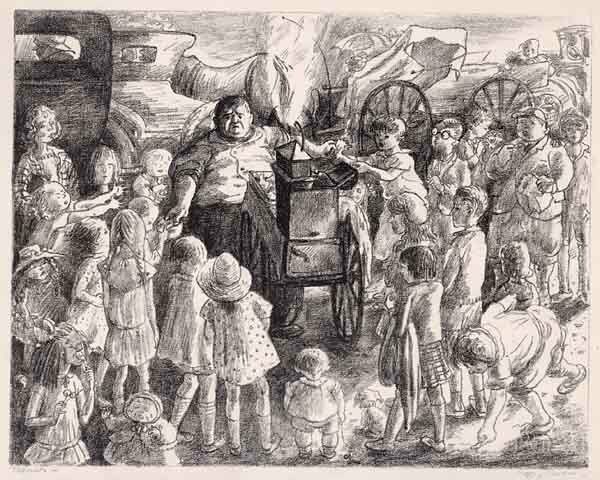 Etching, 1946. Edition 30. LINK. By the Skin of Our Teeth. Chaim Koppelman. 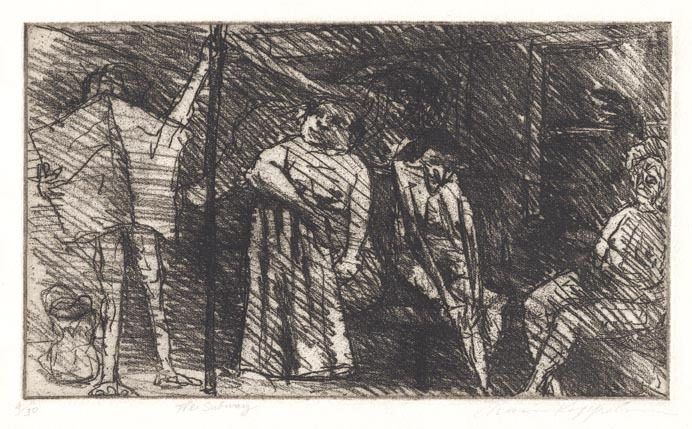 Etching and aquatint, 1962. Edition 30. LINK. In the Workshop. 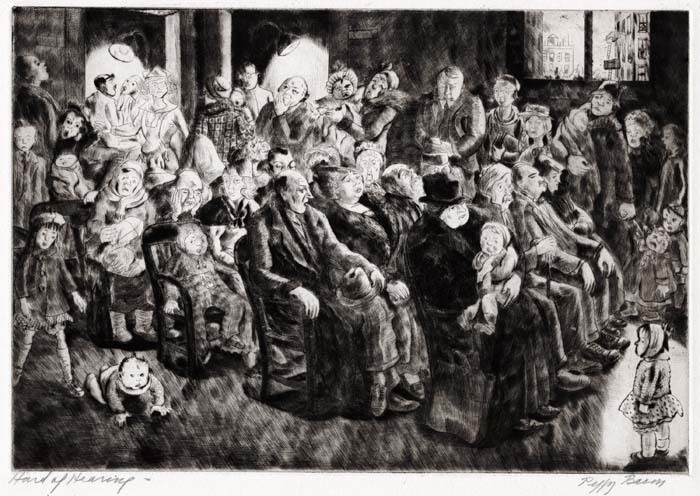 By Chaim Koppelman. 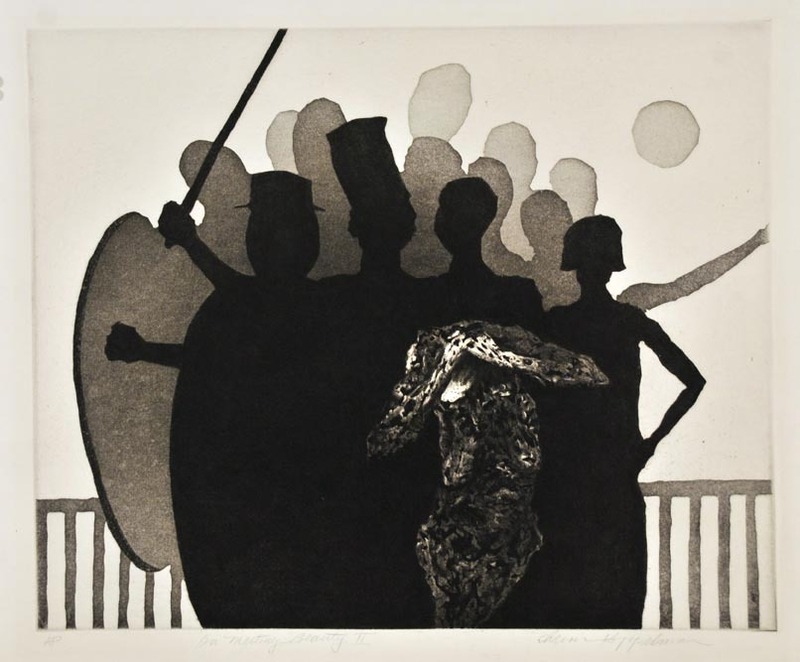 Etching and aquatint, 1966. Edition 25. LINK. On Meeting Beauty II. Chaim Koppelman. 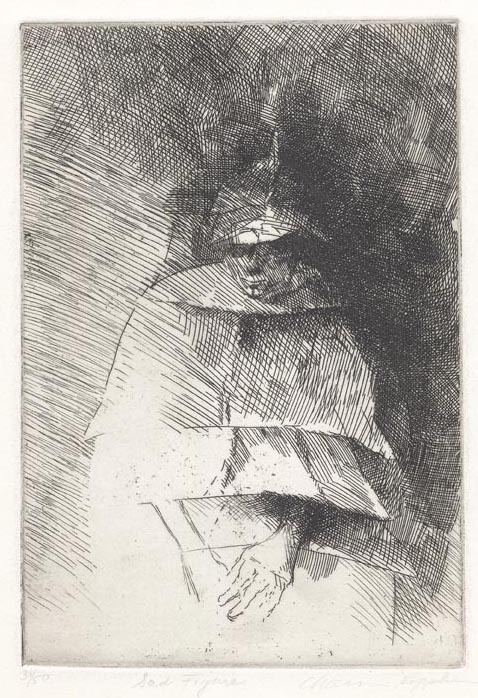 Aquatint, 1958. Edition 200. A/P. LINK. The Subway. Chaim Koppelman. 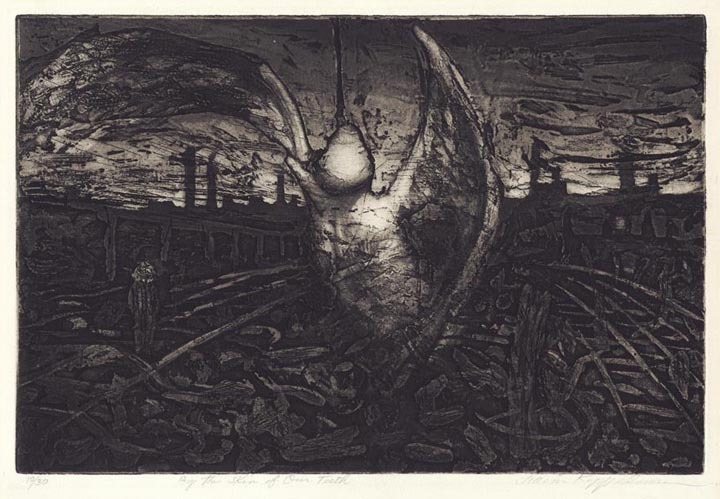 Soft ground etching, 1962. Edition 30. LINK. Sad Figure. Chaim Koppelman. 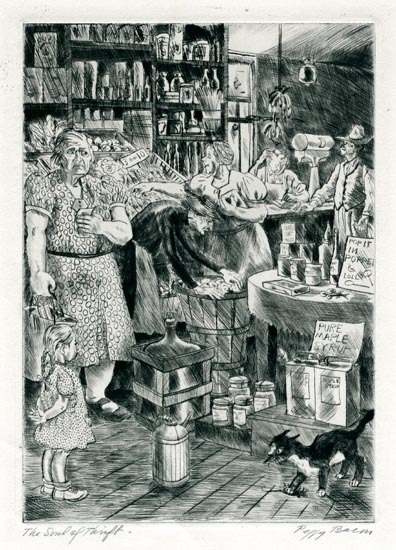 Etching, 1956. Edition 50. LINK. Crazy Steer. Chaim Koppelman. 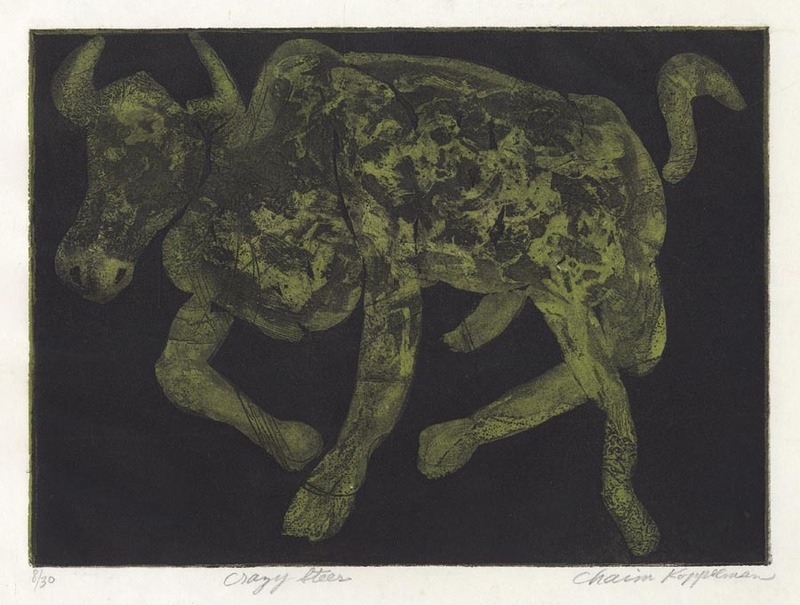 Two plate color etching and aquatint, 1965. Edition 30. LINK.